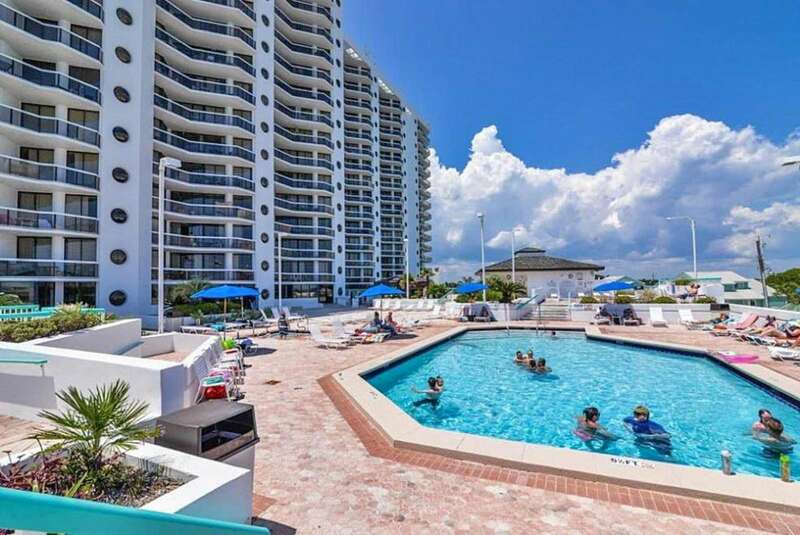 Free Beach Service (seasonal) luxurious, top-rated, two bedroom, two bath condo, designer decorated. Our unique angled floor plan is 'NOT' your typical shot-gun style floor plan. All rooms open to a huge 28-foot balcony! Enjoy our beautiful kitchen with eat-in bar, granite countertops, top of the line appliances. The master bedroom has a luxurious king size bed with en-suite bath. The 2nd bedroom offers two full size beds with separate bath. 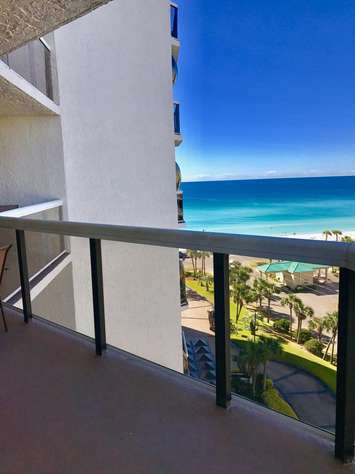 Our unique angled floorplan has incredible Gulf views from every room. 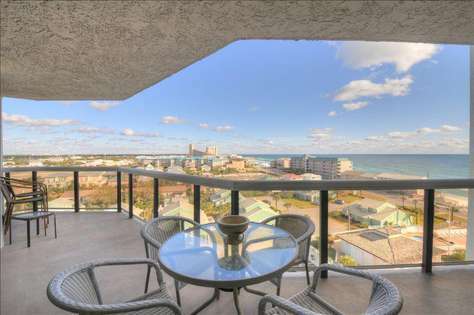 Large Dining Room with Beautiful Gulf Views! Our fabulous kitchen features beautiful granite countertops, stainless steel appliances, custom cabinet, and breakfast nook. Appliances include stove, refrigerator, microwave, disposal, and small appliances such as coffee pot and blender. Our living room/dining room is professionally decorated and includes large flat screen tv and dvd player. The dining room has seating for six. This unit has a washer/dryer. 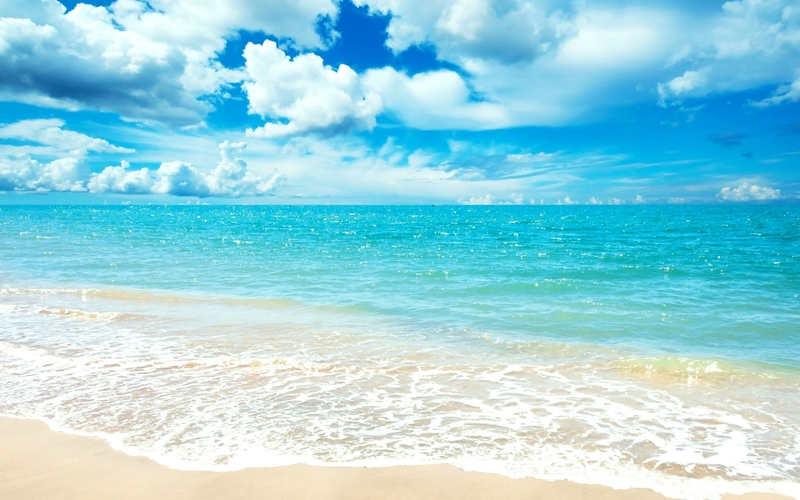 We provide full linens (bath towels and sheets, but we do not provide beach towels). We have added many personal touches and items. Your every need has been anticipated. 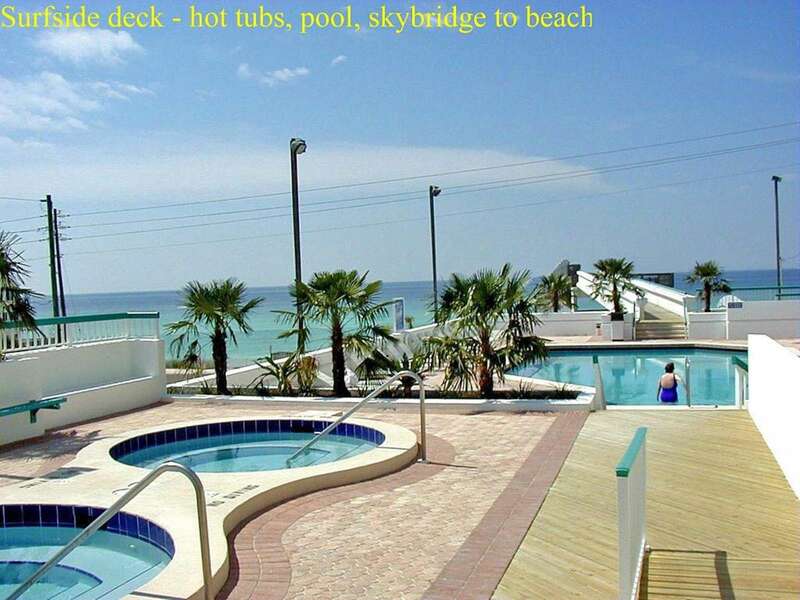 Surfside also provides a large sky bridge that ends with a large deck overlooking the ocean where you can watch gorgeous and romantic sunsets. Head down the stairs of the deck to the beach bar and grab your afternoon beverage. Or you can enjoy watching the playful dolphin! 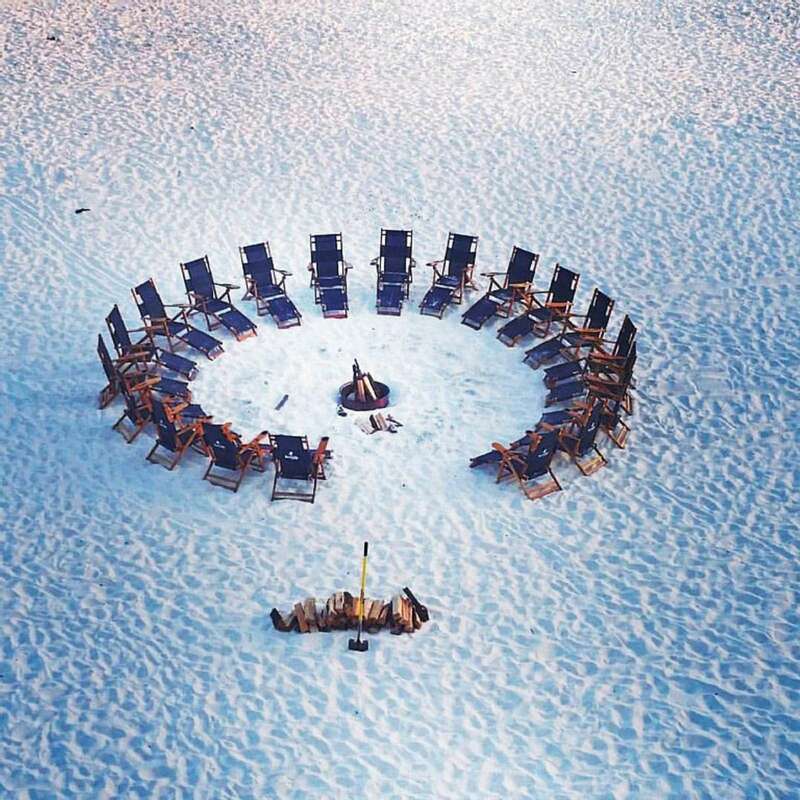 Guests love walking and basking on what is ranked as one of the 10 Most Beautiful Beaches in the World. This wonderful condo is a 'NO SMOKING' unit. POLICY PROHIBITS RENTALS TO ANYONE UNDER THE AGE OF 25. The Surfside Resort prohibits pets. Reserve your favorite 'week at the beach' today!